Want to add additional sales to your car wash operation? A&M car wash vending machines are the perfect option! Sell your car wash specialty products from an automated system. Installing our new car wash vending machine gives you flexibility in offering a large selection of products. 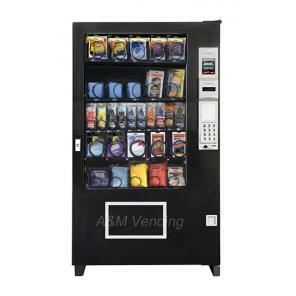 Snacks, beverages, sundry products, and other car wash products are all vend-able from our car wash vending machines. Product choices are fully customize-able. With A&M car wash vending machine by your side, you can make your car wash more profitable! Our major manufactures involve names like Royal, Vendo, AMS, Imbera, American Changer, Crane, Fastcorp and Combi. 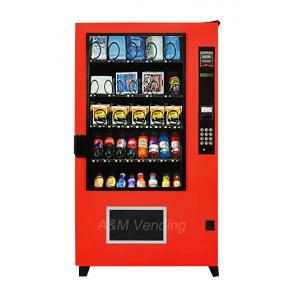 Before we let any vending machine leave our warehouse, we thoroughly check each and every part, making sure you, our customer, get the best value and serviceability for your money. A&M Equipment Sales gives you and your customers a smooth purchasing experience!